1-CD with 20-page booklet, 34 tracks, playing time 89:15 minutes. Bear Family bowed to Dieter Thomas Heck, who died in Berlin on August 23, 2018, and Dieter Thomas Heck was one of Germany's best-known TV personalities. In 1969 Dieter Thomas Heck started his television career as presenter of the legendary ZDF hit parade. 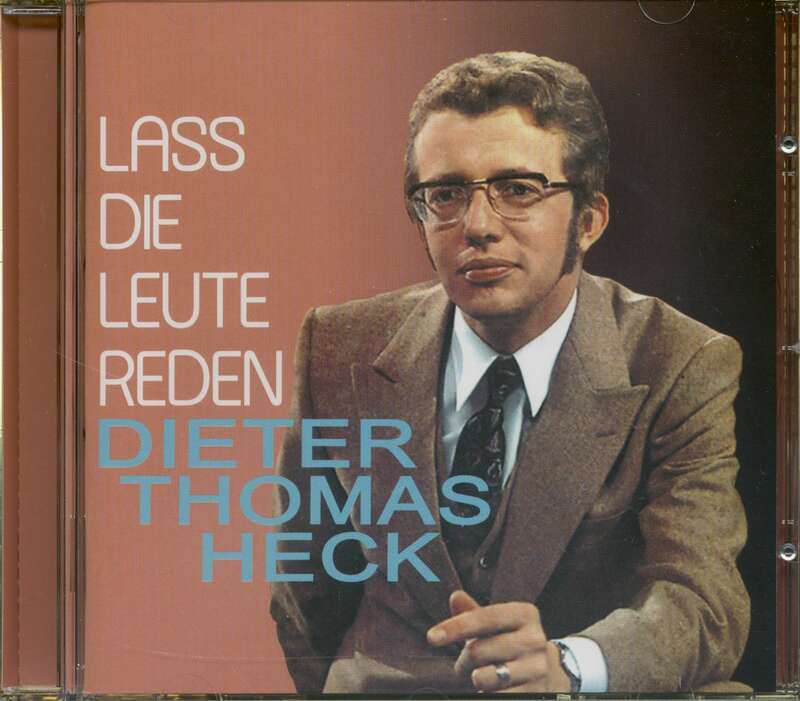 Before that, Dieter Thomas Heck was already a popular radio DJ and was particularly committed to the German hit. That Dieter Thomas Heck even had a classical vocal education and sang for a long time under the name Dieter Heck Platten is something hardly anyone knows today. No wonder, because most of his recordings spent an unnoticed shadowy existence away from the hit parades. With this full CD (34 tracks!) Bear Family documents for the first time the early vocal activities of the popular entertainment all-rounder. From his first record'Hippe Di Hopp mein Mädchen' (1959) to Die schönste Serenade aus meiner Hitparade (1969), all of his singles released by various companies during this period are presented here. Besides interesting cover versions of Elvis Presley, Don Gibson, Buck Owens or Leapy Lee there are hits, tearjerkers and curiosities - not always uncontroversial, but perhaps for this very reason especially entertaining. His TV career began in 1969 with the'ZDF-Hitparade', which earned him the title of'Germany's No. 1 quick talker'. Today he is celebrated as'the last show dinosaur of German television'. On the occasion of Heck's 30th screen anniversary in 1999, the then ZDF director Prof. Dieter Stolte formulated in his laudation: "Dieter Thomas Heck is one of the really great entertainers and entertainment presenters. ZDF's programming history is unthinkable without him." The fact is that the popular TV entertainer has significantly influenced the development of our television culture. But long before he became one of the most popular TV presenters, showmasters and hosts, Heck had also tried his hand as a pop singer. However, as he was no stranger to his vocal art, he switched to radio as a speaker and made a name for himself as a disc jockey on Radio Luxemburg in the mid-1960s. Carl Dieter Heckscher comes from the north of Germany. He was born in Flensburg on 29 December 1937, but grew up in Hamburg on Der Vater ist Kaufmann, die Mutter Hausfrau. When allied planes bomb Hamburg during the war in April 1943, his parents' house is hit. The then five-year-old is buried for two days and nights in the rubble of a cellar. After this traumatic experience he stutters. His father buys a tape recorder with which he can make voice recordings. These exercises make small progress over time. Since the young man wants to become an opera singer, he begins a classical vocal training, and by learning the right breathing technique he also gets rid of his language problem. After secondary school leaving certificate and commercial apprenticeship, however, he initially worked for four years as a car salesman. At the end of the 1950s, the beginner appears in Peter Frankenfeld's TV show'Toi, toi, toi', a kind of forerunner of today's casting shows. There he sings the Peter Alexander hit A little more and is so well received that the record industry becomes aware of him. At the time, classical music and entertainment were strictly separated, and the up-and-coming artist's vocal teacher is appalled at his move to the light muse. "Don't throw the pearls before the Seine! ", she tries to change his mind. In vain, because already in early 1959 Carl Dieter Heckscher recorded his first single Rh - the record company Ariola on Hippe di hopp, my girl is called the debut hit, which is not a hit. For the following production he will have a duet partner with the interpreter Eva May at his side. But this is not enough to arouse the interest of record buyers. Heck has to look around for a new company and publishes his next recordings on Fontana. They are at best successes of respect, usually not even that. For the newcomer, 1961 is already the beginning of a promising year. He takes part in the national preliminary round of the Grand Prix, which is broadcast on 25 February 1961 under the title'Schlagerparade' by television from the Kurtheater in Bad Homburg. Stars like Fred Bertelmann, Lale Andersen, Friedel Hensch, Christa Williams and Detlef Engel are competing for tickets to the Eurovision Festival in Cannes. "I was on such a big show for the first time and all I remember was that I had terrible stage fright back then,' recalls Heck. The jury decides to send lay Andersen to the international song contest again. Dieter Heck, who competed with the Charles Nowa composition Was tut man nicht aus Liebe, is unlucky. Like most of the songs presented at the preliminary round, his title will not be released on record. In 1963 Heck worked as a radio presenter for Südwestfunk Baden-Baden, and the radio audience quickly made friends with his unmistakable voice and his likeable, humorous manner. Thus he has finally found his true profession. At the same time he still releases records, but they don't get much attention. There is hardly a record brand for which he has not yet worked as a singer. In addition, he is now also active as a pop author and can look back on a respectable success in this field in 1964. Dorthe achieved a good 5th place at the German Schlagerfestspiele with the title Young Man with Red Roses, composition and lyrics by Dieter Heckscher and Hans Hee. For Dorthe from Denmark, it will be the first chart success in Germany. She can take the single to 19th place. Dieter Heck soon moves from Südwestfunk to Radio Luxemburg, where he presents the'BRAVO-Musicbox'. However, because the station already has a colleague named Dieter, BRAVO calls on its readers to find a new name for the disc jockey. Finally,'Thomas' is selected from the proposals submitted. At Radio Luxemburg, the radio man can significantly increase his popularity. 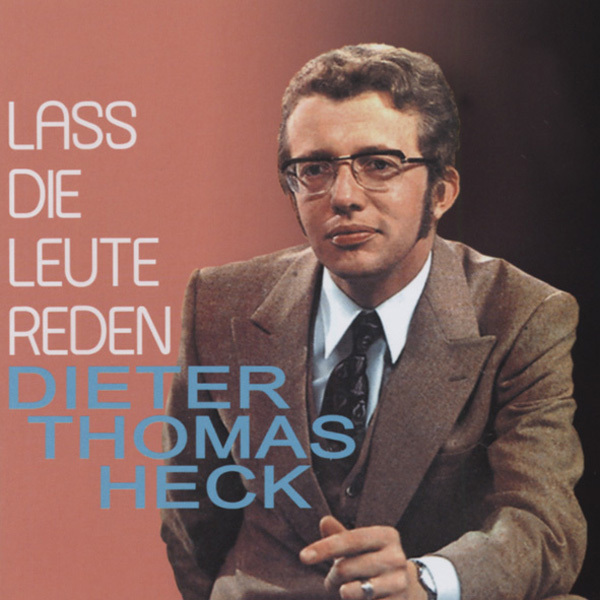 While he is now called Thomas for the listeners, he still tries his hand as Dieter Heck but also as a pop singer. Supervised by composer and producer Joe Menke, he now sings for the Hamburg Polydor. On the A-side of the first single he almost sounds a little like Roy Black. At a performance on ZDF'Drehscheibe' in February 1966, however, he presented the somewhat brisker single B side Ein schönes Mädchen wie du. Although he is one of Radio Luxembourg's most popular speakers, he goes from there to the Europawelle Saar of Saarländischer Rundfunk. Since Heck is now known as Thomas, he retains this name and now calls himself Dieter 'Thomas' Heck. At a time when German radio stations are taking more and more English-language titles into the programme and the German hit is increasingly being pushed aside, Heck launches the'German Hit Parade' at Europawelle Saar and thus reaches a large audience. With his idea of putting this programme on television, he arouses ZDF's interest. There, in 1968, the'German Schlagerfestspiele', which ARD put on file, were also revived and turned into the'German Schlagerwettbewerb'. The first edition of the ZDF'Hitparade' flickers on the screen on January 18, 1969. Renowned performers such as Roy Black, Manuela, Karel Gott and Graham Bonney will be present. Afterwards the critics blaspheme'Mainzelmännchens Lach-Parade! But the TV viewers are thrilled! Soon half the nation will be sitting in front of the screen when Dieter `Thomas' Heck greets the audience once a month on Saturday at 7.30 pm with a strong voice and the words "Hier ist Berlin...!" for the German hit parade. Stars and starlets shake hands in the show and dance to the whistle of director Truck Branss, who even influences how the performers dress. The songs are sung live, the music comes from the tape. The idea of having Heck rattle down the names of the staff members involved in the programme a few seconds before the end of the credits proves to be a particularly clever one - this earned him the title'Speaker of the Nation'. Headlines like "His voice rattles like a machine gun" make him famous. The'ZDF Hitparade' soon becomes the most popular music show on German television and is awarded the'Golden Camera'. Despite his new TV fame, Heck also remains true to radio and continues his broadcasts at Europawelle Saar. In the German Music Poll he has for years been the undisputed leader in the category'Most Popular Broadcast Discjockey'. After a longer break from recording, he is back in front of the microphone as a singer. For Decca - for the first time as Dieter 'Thomas' Heck - he takes on several singles who attract more attention than his earlier records, but in the end it turns out that the audience prefers him in the role of moderator and host. After 183 editions Heck takes leave of the'ZDF-Hitparade' on December 15, 1984 (successor: Viktor Worms). He had already presented other music shows before, was successful as a quizmaster and completed serious roles as an actor in television films and series, e.g. 'Tatort','Praxis Bülowbogen' and'Das Millionenspiel'. This is followed by programmes such as'Die Goldene Stimmgabel','Melodien für Millionen','Die Pyramide','Made in Germany','Musik liegt in der Luft' or'Das Sommerhitfestival'. He also hosts many charity galas, for example for Welthungerhilfe. The entertainment expert has long been regarded as the'all-purpose weapon of German television'. As friendly and cordial as he acts in front of the TV cameras, he is also private. With his second wife Ragnhild (married 1976), also his manager, the bearer of the Federal Cross of Merit on ribbon (1984) lives at Schloss Aubach near Baden-Baden, the headquarters of his own production company. As a'show locomotive' Dieter'Thomas' Heck will continue to be in action, because he says: "As long as the audience still wants me, I don't think about quitting". 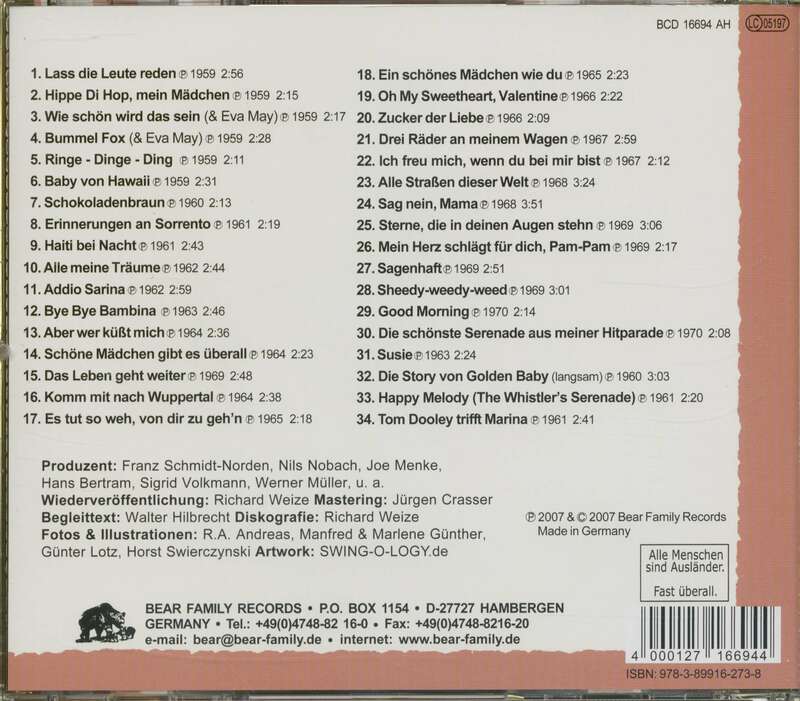 Customer evaluation for "Lass die Leute reden (CD)"